Provide clean water by building a well in your name or that of a loved one. It costs from just £300 to build a well in a needy community; that's just from 82p per day to give the gift of water to an entire village. 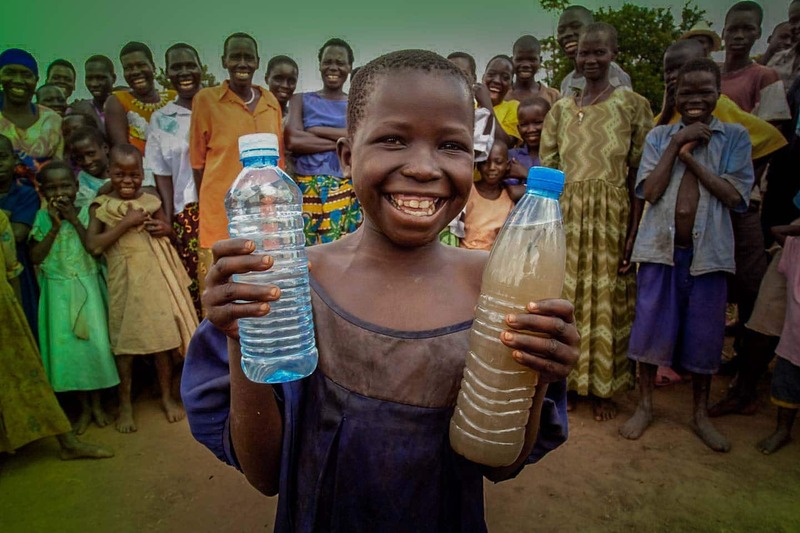 Clean, safe drinking water is scarce. Today, nearly 1 billion people in the developing world don’t have access to it. Yet, we take it for granted. Water is the foundation of life. And still today, all around the world, far too many people spend their entire day searching for it. 2.4 billion, 1 in 3, lack access to a toilet. In developing countries, 80% of illnesses are linked to poor water and sanitation conditions. 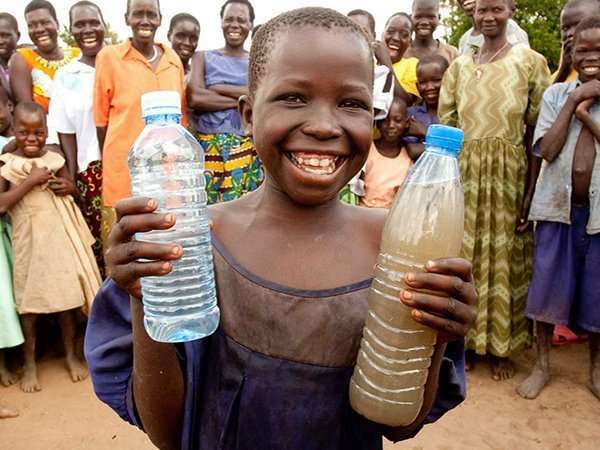 Water-borne diseases kill more children under five than malaria, measles, & HIV/AIDS – combined. Women walk 8 miles, 40,000 steps, every day, just to get water that is making them sick. One billion people in the developing world don’t have access to it. Yet, we take it for granted. Water is the foundation of life, but still all around the world, far too many people spend their entire day searching for it. In places like Africa, time lost gathering water and suffering from water-borne diseases is limiting people’s potential. Education is lost to sickness. Economic development is lost while people merely try to survive. Access to clean drinking water and sanitation is closely linked to children’s education. Many children experience a decrease in their learning potential, which in turn leads to stunted development, lower concentration and poor academic performance. Water scarcity can mean scarcity in availability due to physical shortage, or scarcity in access due to the failure of institutions to ensure a regular supply or due to a lack of adequate infrastructure. Water scarcity already affects every continent. Water use has been growing globally at more than twice the rate of population increase in the last century, and an increasing number of regions are reaching the limit at which water services can be sustainably delivered, especially in arid regions. Nearly half the global population are already living in potential waterscarce areas at least one a month per year and this could increase to some 4.8–5.7 billion in 2050. Give water and saves today. We operate water supply tankers & build desalination plants. 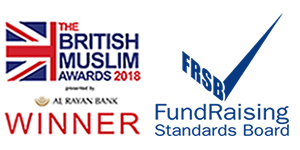 Muslim Global Relief with your support has been working in Gaza for over 15 years providing humanitarian relief. Over 94% of the water in Gaza is undrinkable. 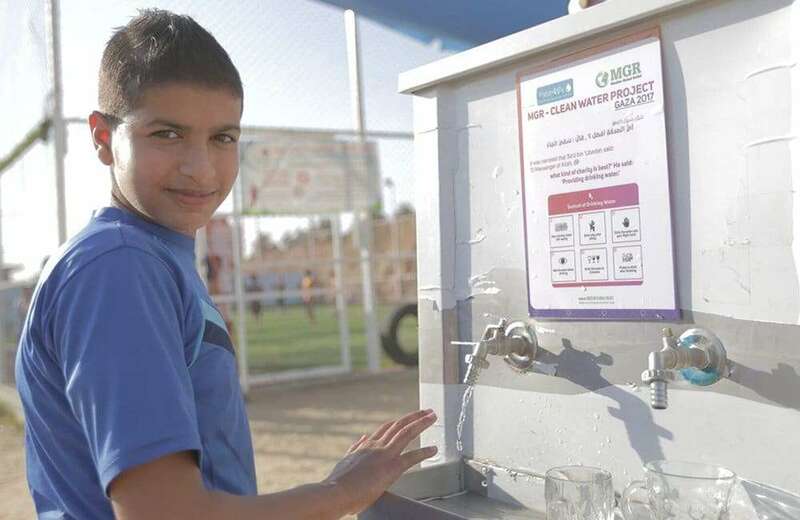 We have been installing water coolers and tanks in schools and hospitals across the Gaza. Muslim Global Relief has been providing water and sanitation assistance to thousands of people over the years. With you support we have been able to provide clean safe drinking water. Located in Upper Eastern Ghana, Kouse-Jingiri is home to 1,907 people. A lack of safe water and next to no sanitation meant open defecation was common here, and diseases caused by contaminated water and poor hygiene were rampant. The villagers were were forced to seek out expensive medical aid, when they scarcely had enough food. Their women and children walked long distances each day to fetch clean water. Often they endangered their lives to do so. But now things are different. 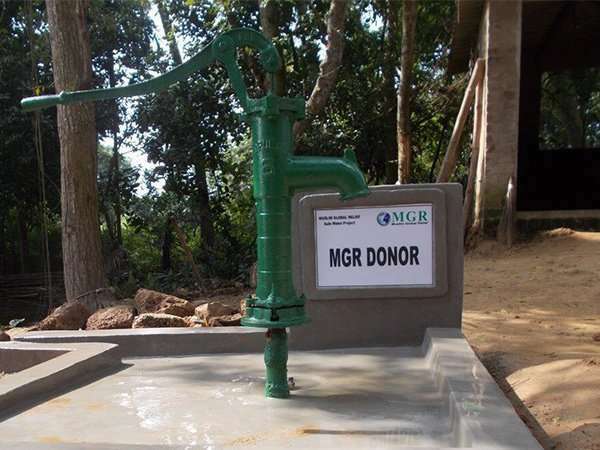 MGR installed a borehole water system in the centre of the village. The well has a water storage tank and functions with a motorised hand-pump that runs on solar energy. MGR also installed a covered sewage and waste management system to accommodate public sanitation facilities. We built separate latrines, showers and ablution taps for men and women of the village. Once construction was completed, MGR staff on the ground conducted awareness raising sessions with the local community about hygiene.